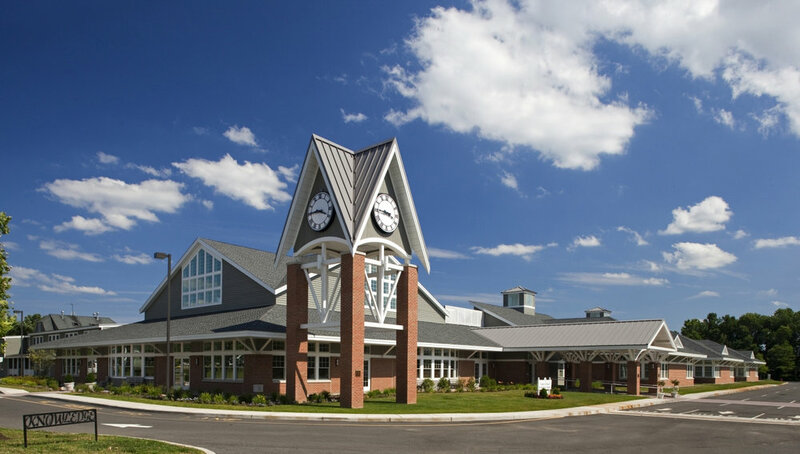 Ranney’s Lower School building completes the second phase of the school’s expansion program. The building serves grades 1-5 and includes a 450 seat multi-purpose performance space, art gallery, computer rooms and science labs. The classrooms have been arranged in grade appropriate neighborhoods and the entire project is infused with natural light. The architecture is in keeping with the design of the Upper School and is a modern interpretation of the surrounding area’s agrarian architecture. Phase I included the Upper/Middle school and cafeteria.